Ashburn House is an impressive Victorian villa (1877) located by the shore of Loch Linnhe, and is a 10 minute walk to Fort William town centre. We are open April to October and provide bed and breakfast. Our accommodation comprises of 5 Double en-suite rooms and 1 Single en-suite room. If you are looking for excellent accommodation in Fort William with a friendly, personal service, look no further... we look forward to hearing from you and welcoming you to our Highland Guest House. There are no rooms available at Ashburn House De Luxe Bed and Breakfast for these dates. Very comfortable bedrooms and great facilities.Willie and Christine were great hosts and made our stay in Fort William a pleasure. The “Jacobite” steam train to Mallaig is a must especially on a clear day. The scenery and countryside are stunning! This was the nicest bed and breakfast that we stayed in during our 2 week visit to Scotland. The location was perfect. It was a short walk into town, yet not right in the middle of the tourist area. The hosts helped us plan two spectacular hikes and wonderful dinner suggestions. The room was large and very comfortable. I loved the heated towel rack. The breakfasts were terrific. I would not say any place else if in Fort William. We enjoyed our visit to the Oban distillery and our dinner at the Tavern and the Lime Tree. Hiking in Glen Nevis. Wonderful hosts, very nice rooms, clean, bright and comfortable, and ideal location. Couldn’t be nicer. 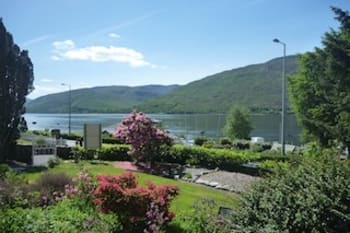 It is a beautiful place to stay in Fort William. Everything perfect. Very welcoming and friendly. Breakfast was excellent! Ask for a room facing the Loch. The bedroom is spacious and furnished in style. The bathroom seems to be fully renovated, very nice! The service was excellent and with care. We recommend the Crannog Seafood restaurant ! Great view, great food and only 10 minute walk along the lake. Beautiful guest house, very homely and comfortable. Abacus Mountain Guides provide fantastic guided climb up Ben Nevis! We had everything we needed in our room. Location allowed a pleasant walk to shops and restaurants and a stroll along the wedding. Willie and Christine gave us great suggestions for walks and dining. Christine’s scones are the best! Great location for day trips in and around the West Highlands. I would highly recommend Ashburn House. My wife and I thourouly enjoyed our stay with you. Your B&B is the best that we have stayed in and we have stayed in quite a few. The breakfast room lounge area beadroom and on suite we’re all of a very high standard, the car parking area was brilliant plenty of room and easy to manoeuvre. The location of your B&B was spot on for getting around. You were perfect hosts and the breakfast was 1st class. We will definately be back for a second visit. Thank You Both. Martina & Clive. Britstol. England. Be prepared to walk into town for restaurants etc. Only 10 minutes away. We loved our room and our stay at Ashburn House! Very clean and comfy room!! Super nice people who were very informative and helpful. Absolutely greT place to stay! We highly recommend this B&B! Be sure to try the Lime Tree restaurant. Wonderful stay here!! Beautiful rooms with King sized beds, fantastic breakfasts with the best porridge I’ve ever eaten, and absolutely amazing hosts. Very friendly with information about the area, history, and things to do. Would absolutely recommend this to others and stay here again! A beautiful Guest House overlooking the Loch with on site parking. We received a warm welcome and some lovely shortbread with a cup of tea in the conservitorium. A well cooked Scottish breakfast was also included. Our room was spacious and comfortable. Ashburn is within walking distance along the waterfront to the train station where we boarded the Jacobite Express for a day trip to Mailag. Also close to town , restaurants and local attractions. Beautiful accommodation with excellent hosts and good food. 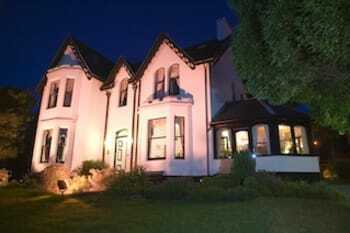 Perfectly positioned and beautifully appointed Victorian house overlooking Loch Linnhe. The owners are welcoming, friendly and very helpful. Ashburn is perfectly located within easy walking distance of Fort William town centre and buses, trains and taxis. The breakfast menu is comprehensive and extensive. A bonus for walkers, Ashburn is located next to the start of the Cow Hill peak and circuit walk. Easy walks also to Neptune's Ladder at Banvie and the start of the Caledonian Canal - and of course Ben Nevis. My friend and I loved our stay at Ashburn House. Service was faultless and room was great. Definitely worth the five stars. Highlight was the comfy bed and stylish en suite bathroom. Stroll into town via the park opposite the b&b along the loch. Also worth taking stroll by back roads which climb up the hill and gives a nice view of the loch in some areas. Stay more than 2 days, it's a stunning area. And look for otters near the pier. Very nice house, beautiful room with beautiful view. Very good breakfast. Wunderschönes, gepflegtes und liebevoll geführtes B&B. Sehr nette, aufmerksame Gastgeber. Echt britisches Übernachtungserlebnis - super. Hervorragender Service. Exzellentes Frühstück à la carte. Großes, liebevoll und geschmackvoll eingerichtetes Zimmer (Nr. 6), modernes Bad mit tollen Pflegeprodukten. Gemütliche Lounge. Simply amazing! Owners were really friendly , extremely helpful and had time to chat to their customers. Room very high quality and breakfast delicious and plentiful. Very glad we chose to stay here. Beautiful house, top position! Top hospitality! Really nice BnB with friendly people and lovely good breakfast! Also for a few nights recommandable. Altough the BnB is near the city center (5min walk max.) a car is advisable for reaching the city highlights and places near fort william. Ashburn House is a gem. Very well maintained updated and clean. Close enough to the center of town to walk to dinner. Parking in the rear of the B & B is wonderful. Breakfast in the morning was delicious and ample. Very quite and relaxing. Stayed in Room 6 on the first level. Very nice! We really enjoyed our two nights there. Christine and Willie were very friendly. Their breakfasts were of gourmet quality. Bed was comfy and shower was super! Can highly recommend their home. Stayed at this beautiful B&B for 3 nights. The hosts was really nice and my room was excellent with a view overlooking the loch. The breakfast was absolutely great.So much good food,and a too small norwegian stomach.It was just a little walk to the town from the house.I really hope I can stay here next time I´m visiting Scotland. Stayed here to see the area and climp the Ben Nevis,the U.K.´s highest peak.Which I did in bright sun,such a great walk in beatiful nature.The Jacobite steam train is also leaving from the train station in Fort William and was great to see.Old Inverlochy Castle is worth a visit.A short walk from the town,situated by the riverside.West Highland Museum with free entrance,very interesting. There is nothing not to like about staying at the Ashburn House. Amazing rooms, bathrooms are fabulous and everything looks brand new. Clearly well maintained. The house keeping staff were really friendly and Willie made sure you had everything you needed for a great stay...starting with sending you out the door with a very tasty and plentiful breakfast. It was hard to tear ourselves away from such a wonderful place that felt like home. As Willie will explain, restaurants need to be booked in advance as the town is very popular due to the closeness to Ben Nevis. We struggled to find anywhere to eat. Very friendly and helpful. Room was very good and food was excellent. Christine and Willie welcomed me and helped answer questions about the town and its people. Their staff were similarly cheerful and helpful. Christine und Willi haben sich super um alles gekümmert und uns toll unterstützt. Das Zimmer war sehr schön mit kleinem Erker und Blick auf den Loch Linhe und die Berge. Für Jacobite Train (Harry-Potterzug) nach Mallaigh unbedingt Plätze vorbuchen; Neptun-Staircase am Caledonian Canal ist samt swinging bridge eine technische Besonderheit. Auf jden Fall im Limetree essen (auch vorbestellen!) und dortige Galerie anschauen sowie den Pub Creag & Cruel am Wochenende mit Lifemusik besuchen. We were given a very hospitable welcome from Willie when we arrived and nothing was too much trouble. We were very well looked after throughout our two days at Ashburn and anticipate returning in the future. The staff was very welcoming and accommodating. Offered suggestions for places to visit and restaurants. We really enjoyed our stay here. The breakfast was exceptional! We would really recommend Limetree restaurant for dinner- just five minutes from Ashburn House. Very lovely accommodation and friendly. You welcomed us in to your home & went out of your way to make our stay the best. Your eye for detail is exceptional & knowledge of the local area & where to eat was appreciated. Eating out is such an individual thing... however the food at Brown's was by far the best quality but more formal & more money than The Ben Nevis Inn. We would recommend both. Again places to visit is an individual thing, we very much enjoyed Arisaig for its quiet location & our drive home on the Glencoe route was just wonderful. Loved the hospitality, food, views...Rooms were great. Enjoyed every minute of our stay. Great central location. Wonderful location for hiking. Ask for tips from the Innkeeper on local hikes. My hosts are lovely people. Christine made me excellent French toast every morning, and the view on the water was hypnotic. I've stayed at the Ashburn House several times and am always grateful for the welcome and friendly chatter. Some B&Bs still feel like a sterile hotel, but this house is like a home. Sugar & Spice offers excellent Thai curries for dinner from Thursday through Sunday. A nice day trip is taking the train to Mallaig, where there is a Circular Walk that is good for low-impact hikers. Another good low-impact walk is the path to the Inverlochy castle ruins. Very warm welcome. Knowledgeable about the local amenities. Lots of info in the room on what to do and visit. Lovely house and very tasteful decorated. Great views. As all other restaurants were fully booked and could even take on a single person, I ended going to the great glen pub/red to run by Wetherspoon. It was really busy and buzzing. Against expectations food was good and staff really friendly. Good value for money. Dinner at the Lime Tree was superb, world-class. We loved our stay at the Ashburn. Everything was perfect. In particular, our hosts were very welcoming and nothing was too much trouble. I've stayed in a lot of B&B's over the years and this was definitely in my top five. This B&B ticks all the boxes. The attention to detail and excellent customer service make this the best I've stayed at in Fort William. A warm welcome of tea & biscuits (gluten-free as requested), excellently furnished room with lovely and peaceful view over the garden. Breakfast was superb with attention to locally sourced produce. Willie & Christine were friendly & informative & everything was very well run. What a wonderful place to stay on our quick visit to Fort William. Such nice hosts and the quality of everything was excellent. The breakfast was very nice and the view was amazing. Not one bad word to say about this place, it was perfect!! Well Ben Nevis is only about an 8 minute drive away. We climbed it and it was very fulfilling, although my legs have only just recovered!! one of the best B & B in the area run by a nice couple. I couldn't ask more. Thank you. If you get to drive yourself to Loch Ness, you should go using A82 to Inverness, enjoy both Loch Ness and Inverness, and try to come back using A852 (General Wade's Millitary Road). Some portion of the road is a single lane and requires attention, but it was very scenic and gave us unique experience. Thanks for preparing me a sandwich and snack for my climb of Ben Nevis. This is a wonderful place to stay with kind and knowledgable hosts. Who extend themselves to make you comfortable. The house is lovely and breakfast delicious. We have been twice and would return in a heartbeat. Great location as town is close enough for easy walking. Great location for hiking in Glen Nevis or Glencoe area. Glencoe is spectacularly beautiful. Only negative is that there is not a great deal available for vegetarians, for dinner. Hard to find a variety of dinner choices. And the Indian restaurant in the middle of town had the worst Indian food I have ever eaten. But for non vegetarians there are surely many more options. Ashburn House is in a great location with wonderful views and within easy walking distance of the High Street. Our room was beautifully decorated with a super comfy bed and great en-suite facilities. We were made to feel really welcome by both Christine and Willie and would definitely stay here again. It is a lovely place. The staff is very helpful and we can recommend this place to other travellers. We had a fantastic stay and would love to come back and visit again. Breakfast was wonderful, rooms were comfortable and welcome was warm. What more could you ask for? We took the Jacobite Express from Fort William to Mallaig and would thoroughly recommend it! Very welcoming and friendly owners, comfortable rooms with a personal touch. Breakfasts are great. Well located 5 min drive from centre of Fort William. Quiet and peaceful accross the road from the Loch. Highly recommend Ashburn House. Received a very friendly and warm reception. Beautiful room, lovely decorated and spotlessly clean. High standard bathroom. The breakfast was fantastic. Next time we will spend more time here than only one night, that we highly regret not having done! One has to visit the restaurant Lime Tree in Fort William. We went there due to recommendation of William MacDonald. What incredible food we got to eat, culinarily surely the highlight of our 2 week holiday in Scotland! We highly enjoyed these things from the menue: -Twice cooked Belly of Duroc Porc (main) -Loch Awe River Trout (main) -Highland Cannelloni (starter) The next morning we took the Jacobite steam train to Mallaig and back - was great! A beautiful house which was very inviting to sit in. Loved the books in the conservatory! Close to both Ben Nevis for hiking and the Great Glen Way for biking/hiking. Close to town for both restaurants and shopping. One of the best B&bs of our trip. Very comfortable and friendly. Superb breakfast. Very friendly and helpful . Excellent breakfast. This is a wonderful place for a short stay in Fort William - the breakfast and the quality of rooms are hard to beat. The owners re very helpful and easy to help with anything. Christine was a wonderful hostess. The service was top notch and the breakfast was delicious. We were surprised at how booked the restaurants were. If you can, try and make a reservation! In one word Excellent ! A great base for staying in the scottish highlands. Many attractions near by,the West Highland museum in the town gives you the history of the whole area and is a must visit . Fantastic scenery,driving is a pleasure, great transport links ie buses and trains. Fort William and the surrounding area has something for everyone . Enjoy. While we were too late booking to reserve a loch-view room, the room we stayed in (#5) had a lovely view of garden and the Border Collies playing in their yard up the hill. Hosts assigned us a loch-view table in Breakfast Room, which was a treat! Food was served graciously and promptly - was hot and cooked as requested. Entire property was beautifully maintained, and just a short walk from center of Fort William. Recommendations for restaurants were very accurate and helpful. Would definitely stay again. Willie (Host) recommended Crannog Restaurant on City Pier for seafood - excellent!, Lime Tree Restaurant for fine dining - also excellent food, but service was a bit less than perfect; for a Pub - we went to Grog and Gruel - food was quite good, and staff very friendly. Glenfinnan Monument was shrouded for repairs, so don't plan to see it unless check ahead. Spean Bridge WWII Monument is a MUST see, and we enjoyed Old Inverlochy Castle ruins, St. Andrew's Church in Fort William, and St. Mary and St. Finnan Church - just past the Glenfinnan Monument. Drive just a mile or so more after St. Mary's Church to see a single WWI Soldier by the side of the road with a memorial plaque on the back of the monument - very moving sight! Finally, check out the West Highland Museum in middle of town - free (donations appreciated), and full of information you won't find anyplace else. Friendly volunteers run it. lovely ！ My family had a great time staying in your B&B, easy to find,great location, nice lake view, beautiful rooms, love the colour scheme, and the breakfast ! William is very nice and helpful, recommend us to drop by a few interesting places while we are on the way to isle of skye, thank you so much. would definitely recommend ashburn house to all our friends ! Thoroughly enjoyed our stay, and the breakfasts were delicious (and huge!) Will be leaving an excellent review on TripAdvisor. As on my previous visits a warm welcome, a comfortable room, excellent breakfast and convenient for the town centre. We felt very welcome when we arrived and really enjoyed a cup of tea with homemade shortbread too! Christine was a wonderful host. Breakfast was delicious. Welcoming hosts, spotless and comfortable rooms and first rate breakfasts with plenty of choice. An excellent place to stay and a quick and easy walk into the town. Visit the Laggan Dam and Aviemore. Take the gondola ride up Ben Nevis and try some of the walks up there....stunning views! Look at the locks on the Caledonian Canal then take a boat ride on Loch Ness. Plenty to do in the area! Good food in the Ben Nevis pub in Fort William. Incredibly welcoming and knowledgeable about the area. I had a lovely stay! Thank you ask much! Restaurants on high street are fantastic. Go for a walk on the great Glen way, or even out to Ben Nevis! This was a very pleasant stay. The family was very friendly and they served a very good breakfast, which was the perfect start in the day. Have an afternoon tea in the Inverlochy Castle Hotel. Lovely home with comfortable rooms. The hosts are extremely knowledgeable and helpful about the Fort William area. Take the Jacobite train. Drive towards Oban to see beautiful scenery. Excellent B&B in a superb location on Loch Linnie. Greeted with coffee and biscuits in the conservatory. Choefrom an excellent breakfast menu; the kippers were wonderful. Would definitely stay again. Owners were very welcoming and helpful. The room was a nice size and immaculate. The breakfast choice was good, it was served well presented and it tasted great! Wonderful place to stay! Great breakfast too! You have clearly positioned yourselves to provide the highest of quality in everything, and you have succeeded in doing that. Kim and I aren't the types to go looking for criticisms, but we couldn't fault anything about our stay, even if we wanted to. Placing table 5 at the window of the breakfast room was a thoughtful touch that highlighted your attention to detail. The room itself has no loch view, so that ensured that we could still enjoy it. Perfect location and Ashburn House is kept to a high standard. Incredibly friendly and welcoming staff who made sure our stay was comfortable. Highly recommendable. We have stayed in dozens of B&B's in Scotland, Ireland, and Wales, and Ashburn House is everything a B&B should be. Beautifully appointed, comfortable bed, super friendly hosts, and excellent food at brekkie. Avoid the Wetherspoons franchise bar/restaurant in town like the plague! We cannot express enough how terrible the place is! The Tavern is a great place for simple, delicious food, and the service is great! Do the steam train to Mallaig,(that is the name of a bagpipe tune, BTW!) it is the "Harry Potter" train, and is wonderful a to spend a few hours. The West Highland Museum is a free exhibit that has quite the collection, and is a nice way to learn about the local events in various times of history in the highlands. Great place, just like home away from home. Do not visit a restaurant called Stables. Welcoming us with tea and shortbread was a wonderful experience as we had traveled a long way. It was so appreciated that Christine took the time to visit with us for a few minutes. Willie was very attentive with breakfast every morning. We will be back and plan to bring our family and friends from the states with us. Quiet location. Lovely views from room and conservatory. Excellent breakfast. Willie and Christine are most hospitable, the house is immaculate, and the breakfasts are well prepared and beautifully presented. The conservatory provides a wonderful place to relax and read. View of the Loch Linnhe is superb, and both Willie and Christine are very knowledgeable of "not to be missed" outings. A delightful experience! Book the Jacobite Train to Mallaig. In town, the Crannoch House has a great selection of seafoods. Hike the Great Glen Way for some superb scenery. Take the 1.5 hour cruise on Loch Linnhe, well worth the nominal charge. I have visited a few times now and have always enjoyed my stay.I plan to stay again in the near future. Thanks for your hospitality. A perfect stay, it was a pity we only had one night to spend in Fort William. Christine was very friendly and even the poor weather did not spoil our stay. There was nothing that we could see that needed to be improved. It was interesting on our return home to NZ to hear from our son who is now living in Canada that he stayed at Ashburn 2 years ago and he told us how good it was then. So obviously they are maintaining their high standards. Beautiful House & Gardens,Stunning interior throughout. 1st Class rooms & wonderful owners. wonderful breakfast choice, very kind and attentive, full of advice about local events and attractions. We enjoyed the welcome tea and shortbread. If you are tired or not very good at walking, Ii's quite a haul from the station so get a taxi, quick and easy. Local restaurants we enjoyed were Crannog, Lime Tree and The Tavern, the Town Museum ws fascinating, enjoyed the Loch Cruise too. The Sunday coach service to Oban was a good way to see the loch and have a change of scene. The Jacobite to Mallaig was a wonderful experience. A beautiful B&B run by a lovely couple who can't do enough for you....the location is perfect and the views from there are amazing...the room was perfect spotlessly clean had all the facilities you could possibly require .... I filled my breakfast menu out each time the evening before .... The selection is amazing ..... Breakfast is truly amazing .. I only booked for the weekend and dearly wish I had booked longer ... Recommend this B&B to anyone ... I'll definitely return. We enjoyed both the Lime Tree and the restaurant on the pier, do encourage guests to book as the are likely to be disappointed otherwise. We were rather disappointed with other choices in town. Friendly warm welcome, polite and courteous, local knowledge exceptional. Many Thanks. CLIMB "THE BEN" Walk around the local area to see stunning scenery. Visit waterfall at end of the Glen Nevis way. Friendly and helpful people. Good food and an ideal location. Fort William gets very busy in the tourist season so I suggest booking before you go out to eat. Oh and put the midge repellant on all the time. I stayed for a night at Ashburn House following a walk along the West Highland Way. The facilities are excellent, our room was extremely comfortable, with a fabulous view, very tastefully decorated and with attention to detail. Breakfast was superb, great choice and very fresh - thanks for a lovely stay. Very welcoming hostess who managed Ashburn House at a very high standard. Rooms and beds were excellent. We really enjoyed our breakfasts - the kipper on the first morning was the best I have ever had. Thank you for a really pleasant three night stay. We enjoyed eating at both Café Mango and the Westend Hotel. On our first day we went to Mallaig via Arisaig which was all very enjoyable. On the second day we went to Glen Coe and spent time in both The Glen Coe Village Museum and the National Trust centre. A drive through Glen Coe to Buachaille Etive Mhor and back is a must. All staff were extremely helpful and courteous. The location was very convenient. Make sure you book a restaurant for dinner because they fill up quickly in Fort William. Particularly if you want seafood. I had an excellent meal at the closest hotel 2 minutes walk away. We were really happy with everything. A fantastic stay, thank you. Our stay at the Ashburn was the highlight of our trip! The room was impecable and felt like home. We didn't have a better breakfast anywhere else during our whole two week stay on London/Scotland. I would go back just for their oatmeal! The bed was more comfortable then one we have at home! Great place to stay .excellent facilities .owners Christine & Willie Very nice folk. Would recommended to anyone traveling in the fortwilliam area to stop here . We loved Ashburn House. We were made to feel very welcome, our room was spacious, clean and comfortable, the location was great and the breakfasts were beautifully presented and nicely cooked. It's very convenient for the town, about 20 minutes walk, if that. There are a variety of places to eat out and Christine and Willie will give you guidance and provide sample menus. It's a good base for exploring and lovely to head back to at the end of the day. Fantastic Guest House. The room was spotless and well appointed. The bed was so very comfortable and the en suite facility was perfect. Christine and Willie are perfect hosts. Breakfast was superb. Will be back. Great value for the money. Must make a point on travelling the steam service rail journey from Fort William to Mallaig, operated by West Highland Railways. This is the greatest train journey in the world. Lovely staff, lovely rooms. The scenery is breathtaking and with all that. We could've asked for anything else. The Guest House was excellent - rooms a good size with great facilities and impeccably finished and presented. The sun catching lounge was very enjoyable late in the afternoon, breakfast 1st class. We stayed in Room No 1 and we couldn't have been happier with the cleanliness of the room and the view. The room was so lovely. We loved the fact that it had a tea pot and a good selection of soaps and even a thoughtful batch of cotton wool! As tiny as these details are, it does make a difference when you are away from home and shows that the B&B cares about their guests. The binoculars were also a lovely touch! We followed your advice and went to Sugar and Spice for our evening meal which was great. The staff there were so friendly and the food was lovely. If visitors wanted to get out of Fort William for the day, we had a great drive through Loch Lomand and the Glencoe Mountain Range. All in all, we can't wait to come back! Congratulation to Christine a great hostess. You guest house was really lovely. A great view and the welcoming tea and coffee much appreciated, as well as the little chocolates in the room. We really enjoyed the museaum, and the steam train obviously. Beautiful location & lovely home. Located in walking distance to High St. and restaurants. A beautiful place with ample parking and a not-too-far walk to town. Only stayed one night, wished we could have stayed longer. We had a lovely visit. The accommodations were very comfortable, the views spectacular, the breakfasts were delicious and our hosts were friendly and helpful. Would love to visit again! Ft. William is a terrific spot. We especially enjoyed our ride on the Jacobite Steam Train and our dinner at the Crannog Seafood Restaurant was fresh and delicious! Beautiful home with a spectacular view. The owners couldn't have been more gracious or helpful. Much nicer than any of the hotels in town (and I've stayed in several). The location on the main road is a little noisy in the day but traffic shuts down completely at night and there is no noise problem that affects sleep. Breakfast was beautifully prepared and served. Try the fruit with yoghurt - you won't believe the presentation. You need to be willing to walk just a bit to get to the main part of town (a quarter to half a mile each way depending on where you want to go) - not a problem if you have a car but could be an issue for non-walkers. The railroad station is completely at the other end of town so you'll need a taxi to get there if you don't have a car. Taxis are easy to get and cost about 3 pounds. We booked online and were delighted to find that Ashburn House was exactly what we needed - walking distance from the town centre, easy to find, plenty of parking, very helpful owners and a wonderful breakfast. A definite b&b to recommend and revisit. Fort William is a great place to arrive by train - we used the sleeper from London. Local car hire was readily available from Fort William Car Hire. A good place from which to explore the Ben Nevis range and western isles and to stock up on walking gear - several outlet shops. Very helpful information shop on High Street with walking maps etc for sale. All museums etc closed on Sunday - not unreasonably! Lovely place, everything very well kempt, excellent breakfast. Everything one want from a quality B&B. Great welcome from hosts and delicious breakfasts. Kippers fresh from Malaig were a treat rarely enjoyed these days. The Loch view is wonderful. Very comfortable rooms and beds. Highly recommended. Outstanding walking possibilities - for all levels of exertion. Great restaurants in the vicinity. Sugar and spice on the high street serves excellent Thai food. Spotlessly clean, well decorated and nice size rooms. Good choice of food for breakfast and friendly service. Stunning view of the Loch and added bonus of two deer on the lawn as we pulled into the car park! Would stay again and definitely recommend. Lovely house with location overlooking the loch. Christine & Willie both friendly and helpfuL. Fantastic breakfast too. Comfortable accommodation and great location! Just a wonderful little haven - very friendly and helpful team and a beautiful B&B thank you. Wonderful place to stay, owners are lovely and friendly people. When visiting Fort William, Ashburn House is top of my list of places to stay. We really enjoyed our stay at your place. The room was wonderfull and the breakfast really good.Is there the possibility of getting the recipe for the scones? The trip in Glen Nevis to the waterfall Christine suggested to us, was fantastic. We enjoyed the dinner in "the tavern". Lovely B & B with fantastic views of the Loch. Host and hostess warm, friendly and accommodating. Great breakfast. Close to restaurants (could walk)! Would stay there again! Very open and friendly welcome by Christine. Breakfast kippers were delicious, especially as my husband managed to eat three!! We were only sorry that we were unable to stay longer than one night, we hope to return sooner than later. A boat trip on the Loch is well worth it, especially if the weather is good, we were lucky enough to have a beautiful calm sunny day. They provide exactly what is required when you are on holiday. Very good level of quality service. I Will recommend at all the travellers. very clean rooms. overall a pleasant stay. location in Fort William was great. A good central location for day trips. Christine and Wally are gracious hosts and have a beautiful home. Had dinner at The Lime Tree restaurant. The food was exceptional. Venue is small and reservations are highly recommended. Very comfortable bed and fab shower, we were sorry to be only staying for 1 night. Loved the welcome cup of tea and shortbread plus great breakfast. Will definitely go back there. This was the best B&B we have stayed in, and we've stayed in quite a few. Despite turning up a bit worse for wear after 12 hours of cycling, we were welcomed, given somewhere secure to store our bikes then shown to our lovely room. A special effort was made to ensure my husband had something to eat for breakfast, to accommodate his restricted diet - it was not a problem. The porridge was the best I've had (and set me up for another day cycling!). The location is convenient but surprisingly peaceful despite being just off the A82. If we go to Fort William again we will be staying here! Very friendly and clean establishment with a great breakfast. lochleven restaurant or lime tree are recommended by the B&B tenants and very good places. Very welcoming and helpful. Good tips for visiting the area. Eat at the Crannog restaurant. Visit Glencoe. Visit the Highland folk museum at Newtonmore. Feed the herd of Reeindeers in the Cairngorm Mountain. Very warm welcome on a rainy day. We were given lots of information regarding walks etc. Lovely bedroom room and excellent shower! Delicious breakfast and relaxed warm and friendly owners. Go see the Neptune locks and take a walk to the falls. we would have loved to stay for longer in this very nice B&B. We booked too late, so we could not. plenty of activities like a cuise on th eloch or a hike to glen nevis. good indian restaurant close to the pier and good seafood restaurant right on the pier. I usually prefer to stay in hotels rather than B&B's simply because I hate to feel that I am intruding in someones home.Ashburn House however made us feel extremely welcome and very comfortable.At no time did we feel intrusive and the amenities, food accommodation etc. were top notch. We went for a lovely sail on Souters Lass on which the skipper kept us well informed. We also took a trip on a mountain gondola up Aonach Mor - breathtaking and a visit to the West Highland museum well worth a visit.The highlight of our visit was the trip on the steam train The Jacobite from Fort William to Malaig. In short, loads to do and see and the bonus of beautiful weather. Absolutely charming! My partner and I did enjoy our stay among you. It is a beautiful spot, with such an incredible views of the Loch, and a spacious and cosy room. Thanks a lot for the "take-away" breakfast you prepared for us! On our way back to Glasgow on the couch we enjoyed it a lot! Try to climb Ben Nevis, if the weather is good. Go for a boat trip on the Loch, and try to spot some seals! Visit the museum, a lot of interesting stuff concerning the High Lands. And last but not least. go for a magnificent dinner at the Ben Nevis PUB, on its restaurant, right upstairs! Had a wonderful stay. Really well looked after with excellent restaurant recommendations. Room was great overlooking the loch. Breakfasts were superb. Thank you. We had a great stay and loved the place. We thought the train ride was great. Ate at the Ben Nevis Inn and loved it, both nights. Cristine and Willie were always there to help you solve any problem. The breakfast is fantastic. Thank you for receiving us! The Ashburn House provided excellent service and provided an elegant and delicious dining experience. Everything was very nice with attention to details. I enjoyed dinner at The Moorings one night and would recommend it. You are both very welcoming and easy to talk to, and will come back again, such a lovely house . The room was spotless and had everything we needed including toiletries. The owners were welcoming and very helpful. The location was great only 10 mins from the town. I have already recommended Ashburn House to friends. We ate at the Crannog and went on the Jacobite steam train trip from Fort William to Mallaig. We had a great weekend! Single room was small but fine for one night. Shower room was beautiful and toiletries provided were of good quality. Breakfast was great. I can never make eggy bread so to have it made by experts was wonderful. One of the best places for a nice lunch at a reasonable price is the one right at the top of the Main Street. Can't remember name but it has an outdoor shop and a bistro downstairs and a great cafe and shop upstairs. Moorings Hotel at Banavie is also good for a lunch or dinner. We had a wonderful stay. The proprietors were lovely people and provided the softest bath towels in the world! The breakfast served was excellent and the view from our room was stunning. We would highly recommend the Ashburn House, you will love it. We were not impressed with the food at the seafood restaurant down the street from the Ashburn House but maybe it's just not for us. Excellent B&B. Room was spotless and comfortable and good breakfast. Just wander into town, local museum is well worth a look. An excellent bed and breakfast. Charming and helpful owners. Location perfect. Highly recommended. We loved our room with big open window out to beautiful view and the very nice new bathroom. Everything was very clean and comfortable. And the hosts were friendly and helpful. We would absolutely recommend this B & B. My family and I were met with immediate hospitality. We saw a charming and beautiful home that we were lucky enough to stay in. The rooms were decorated in a clean and stunning way. The views of the garden and of the lake were perfect. Being met with coffee or tea upon arrival made the Ashburn House that much better. It is extremely close to town and to the surrounding attraction such as Glencoe and Fort Augustus. Ashburn House is a perfect location with the most incredible hosts. A trip with the "Harry-Potter-Railway" and a visit on the Ben Nevis are "Must-Be's"
Very smart B&B and lovely breakfast, exactly what I wanted! Fabulous. Tranquil. Wish we could have stayed longer, but this area definitely requires a car to get around. our hosts should give training to other B & B's!!! Very accessible train station, but no bus service on Sunday.. We loved the meal at the West End hotel - reasonable & nice ambiance. noticed some of the locals eat there. Christine and Willie were extremely welcoming and couldn't be more helpful. This always makes for a good experience. Wished we were staying for a longer period. Enjoyed the excellent room no.1 with loch views. Highly recommend the Seafood Cafe at Loch Leven. Superbly fresh fish and the shell fish outstanding. A gem of a find, arrived late afternoon to be welcomed with fresh homemade shortbread and a pot of tea. The bed was the most comfortable we had ever slept in and the shower one of the finest. Breakfast by the window overlooking the water was delicious and very promptly and efficiently served. My husband thoroughly enjoyed his kippers! Don't bother staying anywhere else in Fort William! We had a lovely stay, and were very comfortable in the house. The location was absolutely perfect, and the facilities were kept to an exceptionally high standard. Warm welcome, and was very delighted to have been offered tea mid-afternoon when we arrived. I'd recommend people use the house as a base to go out and see Steall Falls or the Nevis Range Mountain Experience, then come into town for the evening and eat, relax, etc. This is a top notch B&B. Attention to detail was evident from small touches in the room to the common rooms for guests. Breakfast was spectacular and we especially enjoyed the view from this room of the garden. Make reservations at Rocpool's for dinner. Best place in Inverness. Excellent accommodation; very friendly and great breakfast. ten minutes walking distance to town center offering various places for food. Excellent bed and breakfast. Beautiful location overlooking loch. Lovely, with a warmly welcoming hostess in Christine. We're sure Willie is great too but we didn't get to meet him! Great location just ten minute's walk to city centre and only slightly farther to the train station where it's easy to do a day trip to Mallaig or connect to Glasgow. Thank you for a wonderful stay, we both loved it & the glorious spring weather helped. Christine & Willie are the perfect hosts, they are friendly and happy to chat to you about your plans during your stay. This was our third stay at Ashburn House and it will not be our last. It is quiet, peaceful and comfortable, warm and spotlessly clean. The food is fabulous, whether you have the Highland breakfast or the fresh fruit platter, you will not be disappointed. Local places for food in the evening, The Ben Nevis Bar & The Tavern are both worth a visit. Or you could try The Lock Inn at Fort Augustus, which was first class. Excellent! Very warm welcome; professional, discrete, friendly service; high quality, comfortable, extensive facilities. Waterfront locatiion, easy access by car with off street parking, short walk to town centre. Just follow the owners' recommendations...!! An extremely warm personal and friendly welcome. Just love the peace and quiet. Easy walk into town and the views of the loch and mountains are stunning. Breakfast is excellent especially the homemade scones. Will definitely be back soon. Plenty of choice in pubs and restaurants. Ben Nevis on the doorstep as well as other sightseeing tours. Crannog restaurant is great. Afternoon tea at inverlochy castle hotel and restaurant is a must. I had a lovely stay at Asburn House. I had booked a single room but on arrival late evening on the 21st November, I was shown into a big and very beautiful double room. It was great to have so much space and the view was fantastic. Christine welcomed me warmly and did everything to make me feel good during my stay. On my departure day, the pre-booked taxi did not show up and I was late for the bus to Skye, but Christine quickly solved that problem. Ashburn House is definitely a place to return to... highly recommended. thank you for such a lovely stay. we will deffinatley be back for a longer visit soon. the owners are very friendly and helpful, the rooms a very good size and spotlessly clean. we absolutely loved it. The single room was snug and convenient and had a lovely view of the water. The bed was comfortable and the mattress not lumpty. Since I stayed a week, I would have liked to have a few drawers instead of piling the stuff in bags and on the desk. The closet and it's shelves are fine for a weekend, but not for longer. I understand that plans are under way to redo this room, so perhaps additional storage space is on the list. The people were friendly and helpful at all times. The Carvery has nice sandwiches. The Sugar & Spice Cafe had lovely Thai food in the evenings. I dined there twice on my trip. I did NOT like the Food Spot at the Alexandria Hotel. The Spicy Bean sandwish was not spicy and had maybe three beans in the deep-fried patty. The staff was friendly, but there were so many that I couldn't figure out who was responsible for me. Absolutely perfect! The room was the cleanest of all the four and five star places that we stayed in while travelling in the UK. Breakfast was yummy and made ot order. Service was impeccable! Thanks for a lovely stay and for even driving us to the train station. The owners are friendly and welcoming. The rooms spacious and clean with wonderful views of the loch. Welcoming coffee was lovely, and the (home made, I'm sure) shortbread delicious. Breakfast was scrumptious, and more than we could eat. Thoroughly recommended. The Grog and Gruel pub serves some superb local beers, although it's busy, and basic. The Crannog seafood is to die for, but booking almost certainly required. Great breakfasts, Christine & Willie very helpful & approachable. Only 10 minutes walk from town and view over the loch and the hillside is superb. Lime Tree restaurant great for more expensive dining. The Grog & Gruel is one of the best pubs we've ever been to. Highly recommended. Some superb local ales, good food & fantastic atmosphere. Our weekend stay in Ashburn House was excellent. The owners and staff were very friendly and courteous. Do the steam train trip from Fort William to Mallaig. The evening meals we had in the Alexandra Hotel Food Stop were very good, and value for money. The most lovely guest house I have ever stayed in. Was a wonderful surprise to our visit to Scotland. Very quite and spacious. The best breakfast of our entire trip. The Balmarol was a disappointment after staying at Ashburn. We loved Ashburn House! Our hosts Christine and her husband were very nice and extremely helpful.. Their home is beautifully appointed with everything one could ask for at hand or fetched for one. They very kindly contacted our next host and arranged pick up for us. All in all, our stay at Ashburn House was lovely. Great breakfast and very comfortable bedrooms!!! Christine & Willie, thank you so much for a very welcoming and relaxing stay. It was just what I needed before and after my walk up Ben Nevis. Nothing seemed too much for either of you. The room was great and the breakfast superb. Thanks for the packed lunch on the Friday morning due to my very early start. It was greatly appreciated. Once again thanks for everything. Mark. Stay here. Did not try the restaurants but there is a good selection to suit all tastes. Tried quite a few bars. All were reasonably priced and within no more than a 10 minute walk. Information Centre on the high street will have what you need to know about walks and watersports in the area. We thought it was lovely - really nice room, furnished well and with care. We were happy to spend a bit of time in the room as the chairs were nice, overlooking the loch and the radio, tea facilities and Tv were all used at rest times! breakfast was also great - the most lovely choice of anywhere we have stayed for a while, with particularly good scones and jam! We liked Fort William and found plenty to do and see. We liked some of the bars in town in the evening, and particularly enjoyed an indian meal at Spice Tandoori (although we really didn't like the chinese the following night!). We really liked the multi-national feel of Fort William, with people from all over Europe in particular around after a days walking. Lovely establishment - great breakfast. Sorry we couldn't spend more time there! Wonderful water views from front rooms, ample parking behind B&B, comfortable rooms, not too far from town but far enough for quiet setting. Excellent breakfast. Really loved our stay at Ashburn House; a warm welcome, lovely room and an excellent breakfast. Would love to go back! 'No4' restuarant just off Fort William town square. Bright, quiet atomosphere. Good quality food. Very nice guest house in a very nice place. Comfortable room, fine forniture, and a large en-suite bathroom. Excellent service and rich breakfast served in a beautiful dining room. We enjoyed the lochside view sitting room. Fiendly staff. Close to Ben Nevis, and not so far from the Mallaig ferry quay to Isle of Skye (Road to the islands. Five minutes walk to the nice Fort William town centre. Excellent service, food and accommodation. A friendly welcome and delicious shortbread. Breakfast was superb! Friendly helpful staff with grest local knowledge and plenty of time to share. The Lime Tree restaurant is one of the best. Well located on the main street, within walking distance of the other town facilities. A clean room with all facilities that you require. Friendly staff and a good breakfast menu that was well presented and well cooked. A wide range of pubs and hotels that suit any pocket. Es war ein wunderschöner Aufenthalt. Mein Einzelzimmer war zwar klein, aber sehr liebevoll eingerichtet und der Blick aus dem Fenster auf den See und die Berge war traumhaft schön. Obwohl das Haus voll belegt war, war es ruhig. Die Gastgeber sind sehr nett. Das Frühstück ist super. In 10 Minuten ist man gemütlich spazierend in der Einkaufsmeile und in 20 Minuten am Bahnhof. Eilean Donan Castle - geht auch mit Citylink, dann ist der Aufenthalt in Dornie aber etwas lang. Dornie selbst besteht aus 5 Häusern. Unbedingt mit dem Jacobite fahren. Mit dem Bus nach Inverness am Loch Ness entlang. Absolutely brilliant, thoroughly enjoyed my stay here and would have no hesitation in reccomending to others and coming back. We had a wonderfull stay in your house.We appreciated your friendly welcome and service. We absolutely recommend your guest house . couldn't have been more accomodating!! Very nice place in front of the loch et Ben Nevis. Very nice room, very good breakfeat. I loved our stay in Ashburn House, the house and our bedroom were charming, and our hosts quite nice and willing to help. The location was superb, in front of the loch, and just a short walk from Fort William. Breakfast was delicious, and full of different choices, that foreigners like us were not able to appreciate in it's full, as we are not used to eat so much in the morning! But the freshly baked scones and the lovely fruit plate were greatly appreciated! we traveled along the countryside and saw magnificent snow covered mountains and old castles on the loch shores that we amazing! The location was beautiful, it is truly awesome view. A fine place to relax away from a busy city environment. Room was perfect, very clean, nice large bed on suite facilities. It is so peaceful and calm, a place to really relax and recharge yourself. Staff are very friendly and helpful. The breakfast is very nice indeed, specially the home made scones…we will definitely be going back for more of those. I will absolutely recomend this for anyone who is looking to relax or have an active holiday...it suits both....the choice is yours. Pack for a Scottish summer. There were not enough restaurants which do good food. Most of the restaurants offer good view but lack in good food. The high street is of a village/town type. A number of pubs/restaurants. By-the-way…Dot go to Ben Nevis pub…the food is awful! I ordered a steak...the lady came back with...what taste like cat meat! Go to ‘Cruachan Hotel’ the food and services are great. Friendly staff and the food are to a good standard and varied to meet most people. There is a highland museum, which is good…We liked it. A brief history of the local surroundings. But this location can be for two types of people...Ones who just want to eat/drink and go for long walks by the lake. the other is for people who want to go sailing and climbing...to have an active holiday/break. It was great staying at Ashburn House. It was truly an unforgettable experience. The place itself, and especially the room was really cozy. Christine was an amazing host, making sure every detail was just perfect. There's no doubt we will recommend Ashburn House and whenever we go back to the Highlands we will definitely stay there. Thanks for everything. We didn't really visit Fort William, as we were coming back from Inverness and the Eilean Donan Castle and we arrived late. We had dinner at the nevis bank hotel and food was really good. My tip to other travelers... if they have time, go to Eilean Donan and/or Glen Coe. The place and especially the road/scenery is just marvelous.